In the beginning of the 20th century, the majority of businesses found success through traditional forms of communication such as word of mouth, face-to-face and print marketing. Fast forward to the 1950s and television quickly became the primary method to influence public opinion. This change made marketing departments and advertising firms absolutely essential to businesses who wanted to remain competitive in the media. Then came the internet – and with it, the rise of social media platforms which have grown to such extents that they have become equally as indispensable to organizations looking to make an impact and gain/maintain their foothold on the industry. 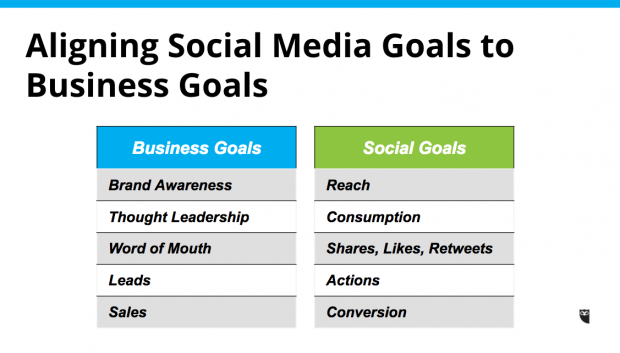 Every successful business contractor understands the important role that social media plays in their strategic goals. Successful organizations carefully devise and craft a winning plan to take advantage of the wealth of opportunity that these social platforms afford – and you can too. 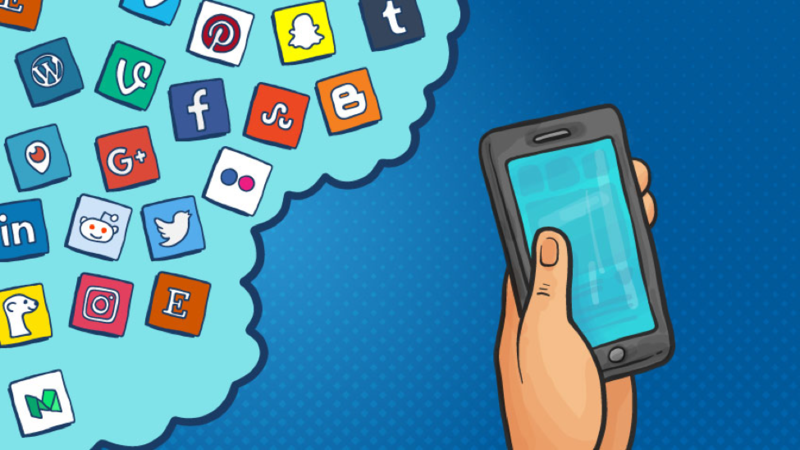 This article isn’t here to delve into in-depth, advanced strategies and tactics that can be used to further your social media agenda. This article is here to cut through the jungle of often confusing and convoluted information that is so often presented in social media guides and give you the bare bones of a winning structure/strategy – in just three steps. So, if you’re interested in getting a holistic understanding of the necessary steps that need to be taken to master social media for your busines, then this article is for you. As of the most recent Global NGO Online Technology Report, 95% of NGOs agree that social media is effective for online brand awareness. When it comes to the first stage in an NGO’s social media strategy, establishing a written strategy and presence amongst the sea of competitors is the focus. 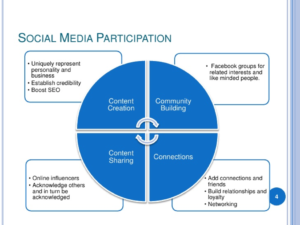 While currently just 32% of NGOs worldwide have a documented social media strategy, the majority of organizations that find success through their social media pursuits credit it to their well-defined strategy. In order for efforts to count, social media management needs to be established so that the day-to-day social activities can be overseen. Trends on social media change rapidly and if you’re tactics aren’t up to speed, they’re simply going to be ineffective. Communications staff are the predominant choice when it comes to social media management with 30% of global NGOs assigning the responsibility to someone in such department. 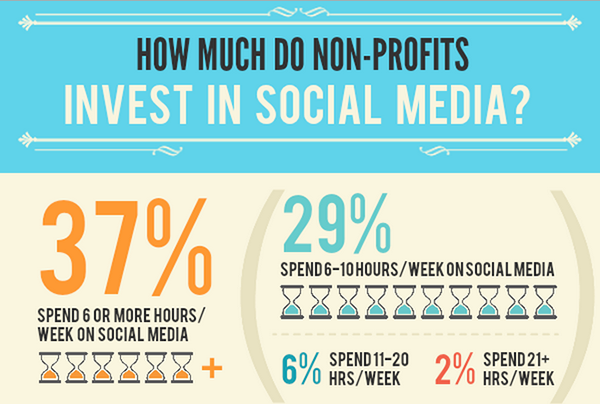 The same technology report found that 11% of NGOs have a full-time or part-time social media manager currently on board. 20% of these organizations assign the responsibility to “program, administrative and other staff”, while 18% rely on volunteers, 15% depend on an executive staff person for the assignment and 6% assign the duties to a fundraising staff member. Integration of social media in your email campaigns, online giving campaigns, and on your organization’s website and blog is also a necessity for increasing social following and effectiveness. The traffic that is gained on these channels can also be harnessed and re-directed to your social pages via prominently featured social network icons and share buttons. Along with these integrations it’s absolutely essential to make use of a sharing service for important content featured on your website. 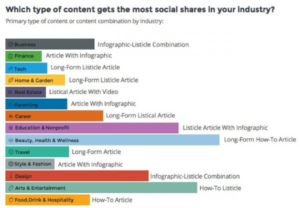 Content such as blog articles, infographics, podcasts, and case studies are all examples of items that can serve as promotional in nature and should have easily accessible share links next to them. Applications such as AddThis offer free basic and paid premium services to facilitate social shares and give organizations “deeper targeting capabilities to increase conversions”. Other popular options include ShareThis and AddtoAny. During this time period, a social profile is established on a targeted platform (or platforms) and an organization should focus on various ad-hoc tasks such as following industry-relevant groups and other “like” organizations. This is done to help establish your online awareness, network and gain insight into industry competitors and their strategies. United Global Group characterizes this as a “dis-jointed, and highly entropic state of potential meaning”. Presence should be consistent across all platforms, which should be chosen based on the social preferences of donors and supporters. Facebook is overwhelmingly the most important social platform for businesses and is considered an absolute must. 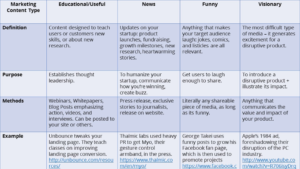 Twitter, Instagram and LinkedIn are close runner-ups depending on your target demographic. 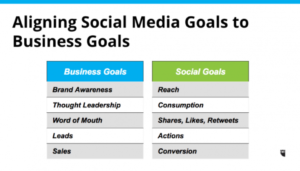 In order to advance to the next stage of a social media presence, an organization must begin to actively engage with their audience in a more meaningful and targeted manner. Ad-hoc actions such as passive likes will no longer suffice and should be replaced with more engaged tactics such as re-posts, comments and conversations. Did you know that 80% of NGOs agree that social media is effective for recruiting volunteers and 78% agree that social media is effective for recruiting event attendees? 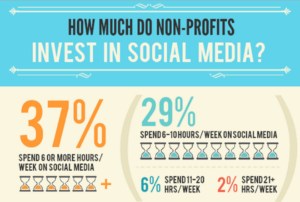 Additionally, 71% of NGOs concur that social media is effective for online fundraising and donors are increasingly citing social media as a vital “communication tool that inspires them the most to give”. Industry leading contracting and research organizations such as Lockheed Martin, Deloitte and Northrop Grumman all utilize social media on a daily basis to cater to existing and potential customers such as DOD agencies, vendors, sub-contractors and potential hires. During this stage it’s important to remain alive and active in front of potential clients, partners and talent. Organizations should focus on building their credibility and consistent organic connections with their audience. 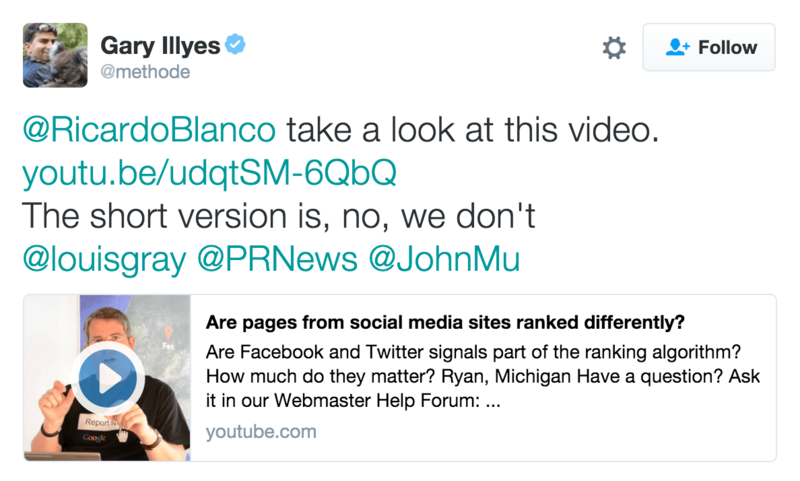 It’s important to note that passive likes and shares are no longer sufficient in this stage of social media presence. Organizations must strive to not just participate but actively listen to their audiences. In order to carry this out effectively, ideally a handful of social media admins should be delegated to handle various tasks associated with engagement. These include actions such as reposts, commentary and conversations, as well as gaining valuable data and insights from such interactions. 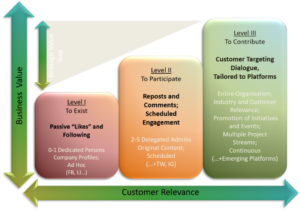 In order to graduate from this particular stage of social media presence, further efforts must be made and larger teams must be brought on in order to handle content development, manage and build a greater range of relationships, and promote the organization’s capabilities via engagement. These efforts all work together to effectively establish an organization as a viable industry leader – which brings us to the final stage – contribution. If you’re an NGO looking to make an impact globally, then starting with social media is an excellent way to further your agenda. In fact, according to the same Global NGO Technology Report, a whopping 88% of NGOs agree that social media is indeed effective for creating social change. However, in order to make an impact both digitally and globally, your organization needs to contribute value in order to establish itself as an authoritative voice in it’s industry. The contribution stage is one that requires the entire organization to work together as a whole to develop valuable, targeted content that can satiate the needs of both your industry and consumers. The key takeaway in this stage is – engagement. Engage your audience by offering valuable insights, information and opportunities – anything from case studies, podcasts and webinar Q&As to fundraising events and projects. At this stage, your NGO should be consistently creating written content such as articles or news stories and ideally posting at least 2-3 times a week. 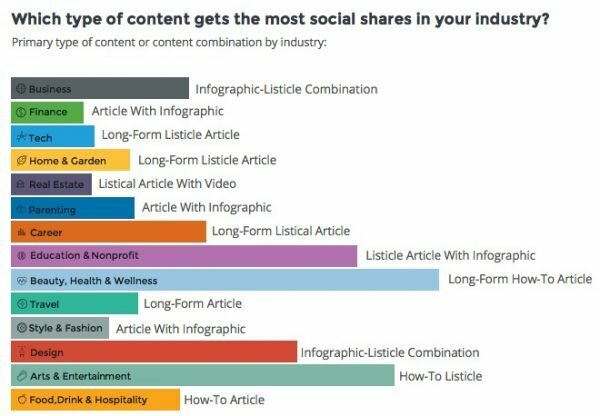 Content should be dynamic and include both visual and live content as well if organizations are looking to keep up and remain competitive with these rising trends in the coming year. Examples of visual content include inspirational messages/quotes, memes, call-to-action graphics, infographs, videos (which can be cross-promoted on both the website and a platform such as YouTube) and more. Furthermore, if your organization isn’t making use of native advertising opportunities, you’re going to be left behind. The truth of the matter is that 34% of NGOs currently pay for advertising on social media platforms, and they do this because it works. Your end-goal as an organization at this final stage is to establish yourself as a trustworthy, credible leading voice and to generate high-quality leads by actively engaging in dialogue and showing the community that you care. Social media has completely revolutionized the ways in which businesses market themselves to their consumers, potential hires, clientele and other businesses. According to the 2017 Global NGO Online Technology Report, a whopping 92% of NGOs have a Facebook page with 72% being active on Twitter and 39% participating on Instagram. These three platforms continue to remain three of the top social media platforms used amongst NGOs but by no means are anywhere near the end-all-be-all. In fact, with the increasing trend in visual and live content, Youtube is steadily growing in popularity with 55% of NGOs being active on the platform. LinkedIn also remains a go-to social platform for businesses and professionals around the world with 51% of NGOs having a presence on the networking site. Other platforms such as Medium and Quora are also steadily increasing in popularity as organizations are finding them ideal for authentically connecting with their consumer base by providing them with useful information. Regardless of which platform(s) your organization decides to move with, the fundamental idea remains the same: Establish a consistent presence and offer organic connections and value to your audience. This proven mantra will put you on the path to long-term sustainability and success with your social media endeavors.